A skier enjoys fresh powder at Signal Peak just west of Donner Pass. 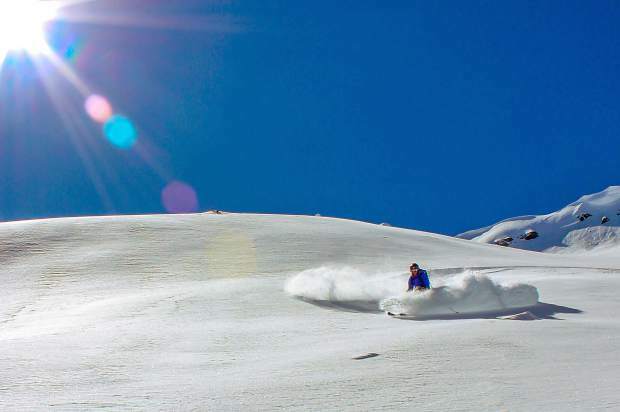 Backcountry skiers in Lake Tahoe will tell you that the sport is exploding in popularity. Trails that were empty five years ago are now filled with people in pursuit of first turns on fresh powder, but they also face increased avalanche risk. Avalanche fatalities in the West may be connected to the occurrence of atmospheric rivers according to research recently published by the Desert Research Institute. “With increasing numbers of recreational backcountry users and changing mountain snowpack conditions, we might expect the future to be characterized by enhanced exposure to avalanche hazard throughout the western United States,” said Benjamin Hatchett, co-author of the study and a postdoctoral scholar in the division of atmospheric sciences at the Desert Research Institute. More than 30 percent of all avalanche fatalities in the western United States between 1998 and 2014 occurred during an atmospheric river, according to the research. The findings, published in the May issue of the Journal of Hydrometeorology, suggest that while not all atmospheric rivers result in avalanches, they can increase the risk because of the heavy amount of precipitation they’re associated with as well as the their impact on an already weak snowpack. An atmospheric river is a long and narrow corridor of water vapor. The weather phenomenon known as the “Pineapple Express,” where warmer moisture from the tropics moves into California, is an atmospheric river. In coastal regions, like California, atmospheric rivers produce roughly half of the annual precipitation. They’re also responsible for driving a lot of extreme precipitation events, like the record-breaking snowfall in the Sierra this past winter. Hatchett said efforts were underway to better understand the most recent winter, which saw a high number of atmospheric rivers pass through the Sierra. They were also stronger and lasted longer than many studied previously. When an atmospheric river moves through a region that has otherwise been cold and dry in recent weeks, the likelihood of an avalanche increases. That’s because when an already weak snowpack is blanketed with heavy precipitation, it can become less stable. Hatchett said that when he and the other researchers looked at the cases where there were widespread avalanche fatalities, a common theme they noticed was that conditions prior to the atmospheric river were clear and dry, with high pressure. These conditions, he said, lead to a weaker snowpack. 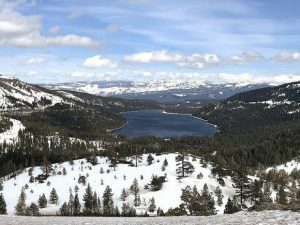 “If you have six weeks to a couple months of cold, dry weather, and then you have a storm that puts down a few feet of snow, especially the dense snow associated with atmospheric rivers, that typically resulted in more avalanches,” he said. Climate projections suggest that these conditions will occur more frequently in the future, according to the report. “A lot of the climate models project an increase in frequency and intensity in storms, but they’re also projecting an increase in the number of dry days,” Hatchett said. The number of people in the backcountry can also contribute to increased avalanche risk. Hatchett said that as the climate warms, less snow is likely to fall in the lower elevation, which may increase the concentration of visitors at higher elevations and therefore increase avalanche exposure. He said the study can assist skiers, snowboarders, resort employees, and anyone else that enjoys getting out in the snow better understand avalanche risk and make more informed decisions, but he also hopes more detailed records are kept in the future to help further our understanding of these events. 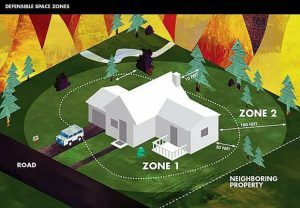 “Our team recommends that following all, but especially fatal, avalanches, as much detailed information should be recorded as possible so that the field can continue to learn about the relationship between atmospheric river events and avalanches,” he said. The study is available on the American Meterological Society’s website at journals.ametsoc.org/doi/full/10.1175/JHM-D-16-0219.1 .